TMZ ist die Gossip-Seite schlechthin in den USA. Ihre Scoops landen gut und gerne auf allen anderen Seiten (antisemitische Äußerungen von Mel Gibson, Chris Brown prügelt auf Rihanna ein usw.) Das hier ist ein Longread. Aber erklärt unfassbar genau, wie das System funktioniert (ja, Geld, aber nicht nur). Hier einer der vielen Fälle von TMZ, Michael Jackson: "Five months after the Northern Trust story, Michael Jackson died. A first responder, upon arriving at Jackson’s house, called TMZ to tip off the site. (Ed Winter, the L.A. assistant chief coroner, is also a regular source, according to numerous former employees; Winter says that it is part of his job to speak to reporters.) TMZ confirmed the death through one of Jackson’s security guards and Jackson’s father, Joe, and broke the news eighteen minutes after Jackson stopped breathing." Rest im Text. 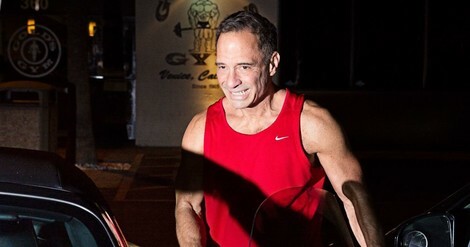 Harvey Levin runs a gossip site that operates like an intelligence agency. How did it become so powerful?